Okay yesterday in deliberation went to News Cafe in Melville, wow to my surprise I met soccer players and my focus was on Lehlohonolo Michael Majoro Kaizer Chiefs Striker or rather say forward player. I called him to take pictures inside just next to the lights in the passage and he suggested outside, of course without knowing his usual News Cafe drama tjo! Bathong mara eish the guy mara is such a bully, I kept on imagining the way he bullied the security guards; they only told him you can’t go out with alcohol and that was all they said. He argued with the Campus Square security guards who kept on gathering around him one by one. So he kept on pushing them forcing his way to the car with the beer that he ended up putting down by force. I thought wow the drama is over and since I am the one who asked him for a picture I even offered to buy him a carry pack of six beers just for him to let the single half beer go but I did not win at all as he told me to stay out of the drama and let him deal with the security guards. 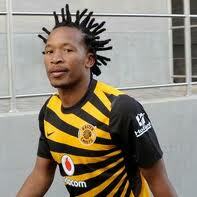 “I don’t want to fight with you Majoro, uyandidelela Majoro,” said the security guard. And Majoro replied, “I also don’t want to fight with you at all,” he sounded like a liar as he kept on pushing the security guard. What made me laugh is when the security said, “It is not the first time, uchamela nemoto zabantu when he is here,” which means he urinates on people’s cars when he’s around. I mean there’s a toilet inside the place. What amazed me was when we were going out and we were stopped by our waiter who demanded that we pay and I was like, what? We are not done here bhuti! He said he knows but he does not trust anyone because many celebrities fly with unpaid bills. I laughed for a moment that I was treated like one because I was going out with a well-known soccer star. So I had no choice but to leave my cute BlackBerry and I watched him as he puts it in his pocket. For a moment I was angry and when I paid for our bill I gave him a tip to embarrass the hell out of him. I mean we not all the same and they should know that as I told them to introduce a new system like pay after your first round. We ended up not taking the pictures with Majoro because he was in another state like somewhere in Zimbabwe during election time beatings. So that was the end of our day at the place as we progressed to another celebrity popular venue but it was rather not packed/full. His friend stopped all the drama though he was reluctant to stop him, apparently he knows that you can’t touch him when he f’s security guards. No wonder they don't perform they drink too much shame!